VERY COOL - SLICK AND MODERN! Tucked away down a long and wide driveway you find this awesome and private near new cedar home that comes with 3 bedrooms and an ensuite. 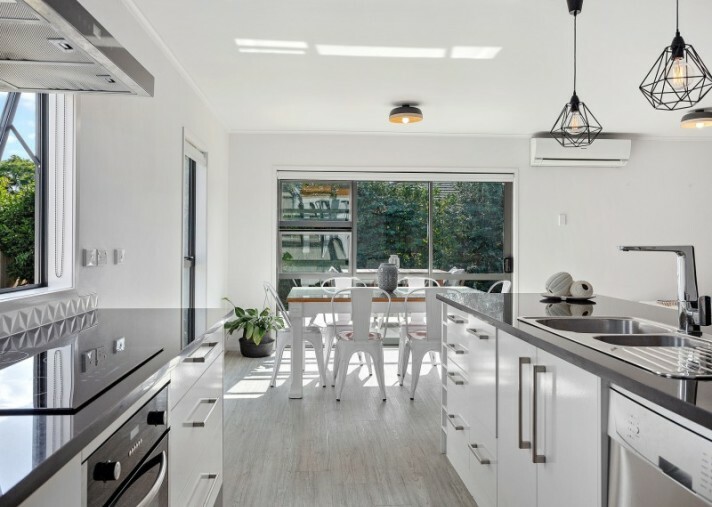 You will love the modern and slick kitchen that really does form the hub of the home and comes with a beautiful solid black granite bench top. Prepare dinner and catch up on the events of the day and then venture to the outdoors, crank up the BBQ and enjoy a cold drink on one of the two decks you can choose from. You can either bask in the late afternoon sun or escape the heat on the northern side in the early evening. There is plenty of room for a trampoline and kids to kick a ball and I can see them zooming up and down the driveway with their scooters making the most of the space with a gate to keep them contained. You will also find a shed for storing the mower, kid's bikes and bits and pieces that we all seem to accumulate. 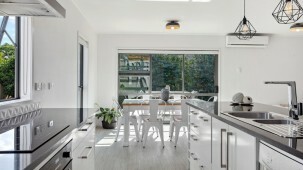 This home has a lovely and calm ambiance and the clean and crisp lines will go with any taste. It comes with double glazing and a heat pump to keep the home temperate year-round. Surplus to requirements and subject to title which shouldn't be too far away. Give me a call to arrange a viewing. This is a really neat home and worth while checking out. Call Sabina on 0800 210 454 anytime.